McDonald's brings back an old chicken burger favorite with an added kick! If you haven't heard the latest from McDo, they brought back McSpicy chicken burger... along with the Garlic Parmesan McSpicy! I got home at almost midnight to see a McDelivery of 8 sandwiches and some drinks on my table, which I ate the following day. 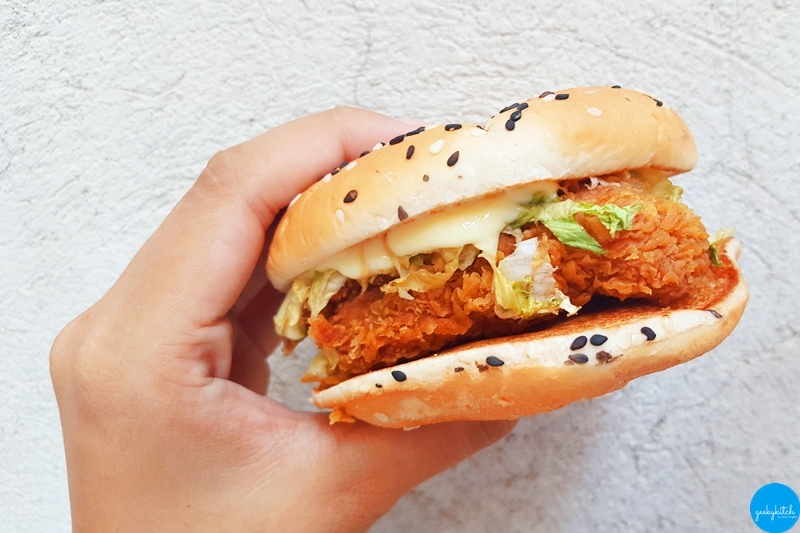 The new variant is basically the original McSpicy chicken burger smothered with garlic parmesan sauce and sandwiched in toasted black and white sesame seed bun. I ate two pieces (during breakfast and as morning snack). I eat spicy food (mild kimchi or Sili ice cream #1 levels) but not regularly so I had to prepare myself before taking a bite. The sauce was definitely tangy but I can't seem to pinpoint the parmesan flavor. My second sandwich was spicier than the other, but with just enough kick. If you're like me and the overpowering smell of the spice makes you sneeze and not try the food item, fret not because I didn't have that experience with the Garlic Parmesan McSpicy. The original McSpicy and Garlic Parmesan McSpicy is available for a limited time only. 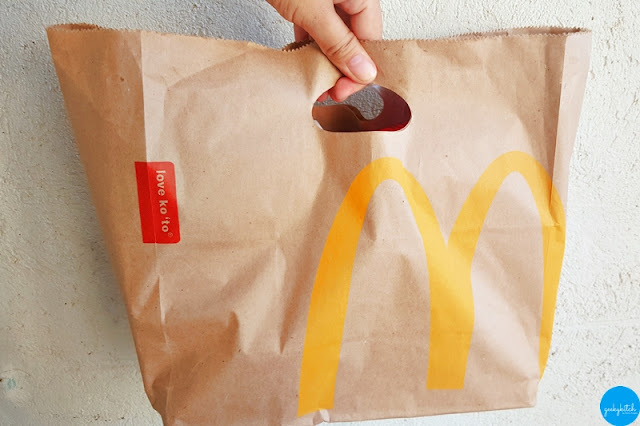 Head over to your nearest McDonald's restaurant now or order via drive-thru, McDelivery by dialing 86-2- 36, visiting www.mcdelivery.com.ph, or using the McDo PH app!